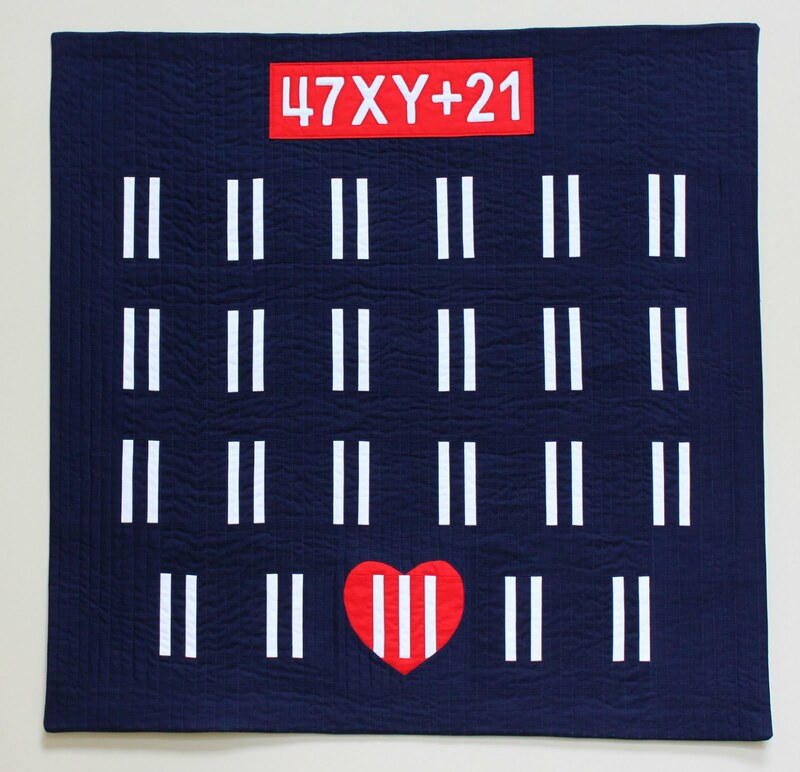 I love the quilt blogging community. 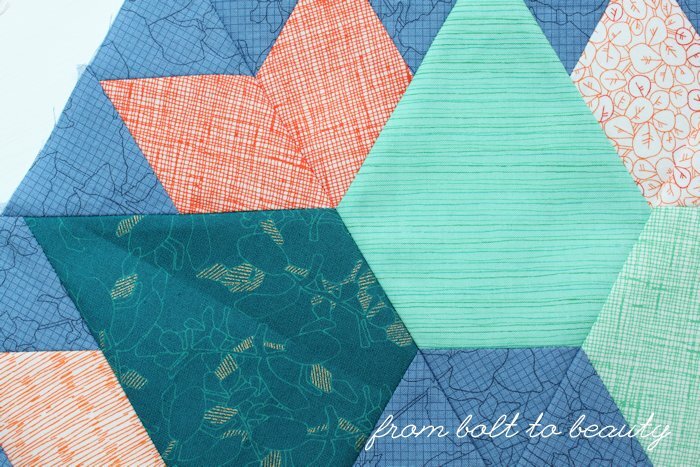 I have bunches of real-life quilty friends, but my connection to other quilters started here, online. 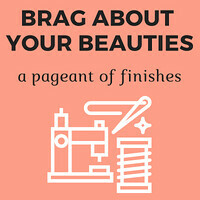 And nothing thrills me more than having a front-row seat to my fellow quilt bloggers’ achievements. During QuiltCon 2015, my quilty BFF, Kim (Leland Ave Studios), won first place in the Modern Traditional category. With the way I shared the news on- and offline, you would have thought I had won myself. More recently, Lara (BuzzinBumble) released her first book, Crafting Appliqué. 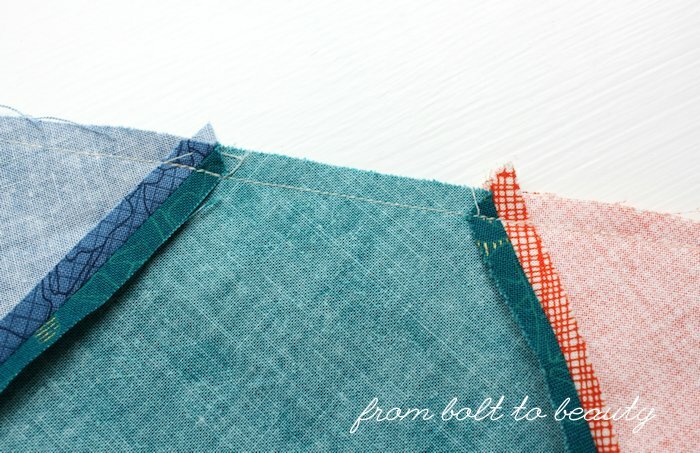 I haven’t jumped on the applique bandwagon yet, but her novel technique may change that! Similarly, when Terri (Childlike Fascination) showed me a sneak peek of her Mini Barn Quilts last summer, I knew she was on to something big, and man, was I excited for her. 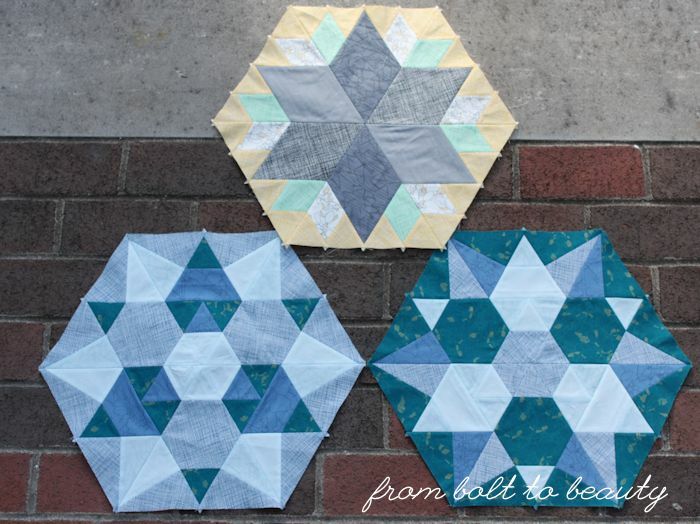 She designed 6 kits to begin with and plans on adding 10 more through the end of this year. Each of them contains wooden pieces to construct a miniature quilt. 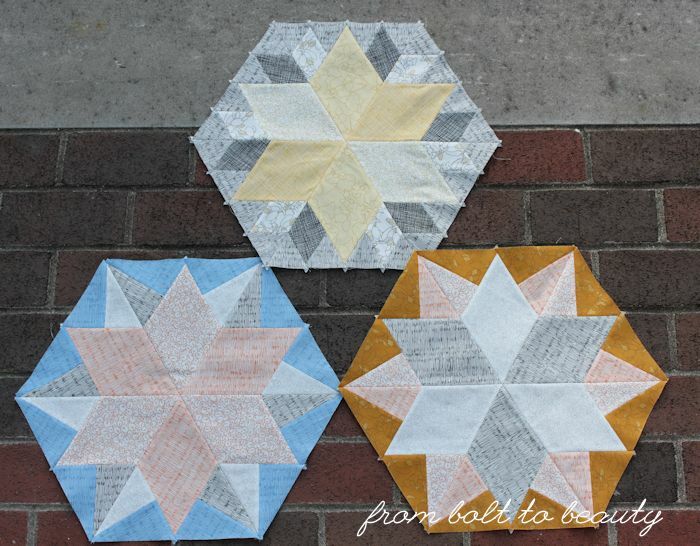 Add some favorite fabric scraps, a little Mod Podge, a bit of glue—and any crafter can be the proud owner of a miniature quilt suitable for display. Terri sent me a kit last fall, as her creation was debuting. She claimed that her kits were easy to put together, but she didn’t tell me that picking the fabric would be difficult. As others finished up their mini quilts, I was plagued with indecision. I finally—months and months later!—decided on a color palette. 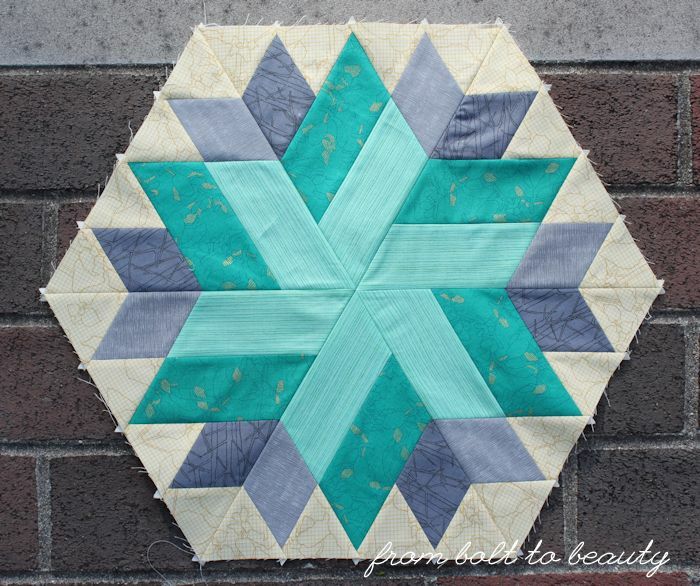 I re-created the mostly monochromatic backing from this quilt, in shades of teal. I feel like a dolt for not jumping on this project sooner. I started my kit one night, allowing the Mod Podge to cure overnight. Less than 12 hours from when I began, I was taking pictures and writing up this post. 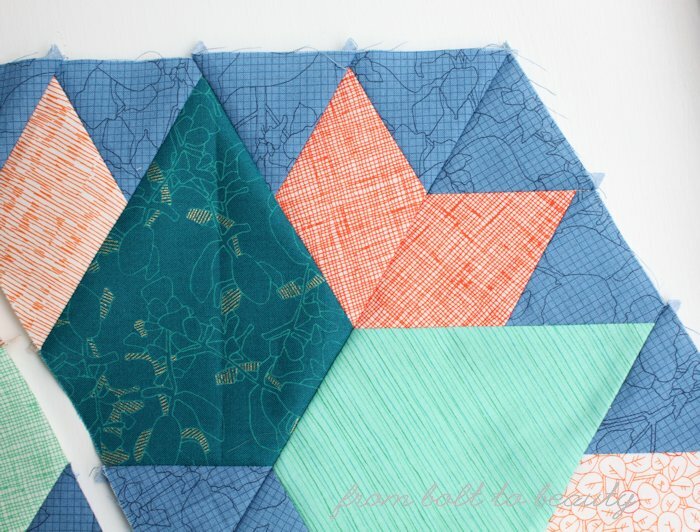 A super-fast finish is just what I need every now and then, and this Mini Barn Quilt fit the bill. I followed the guidelines on the wooden plaque to lay out the block. The final product—the hardest quilt block I have ever made! 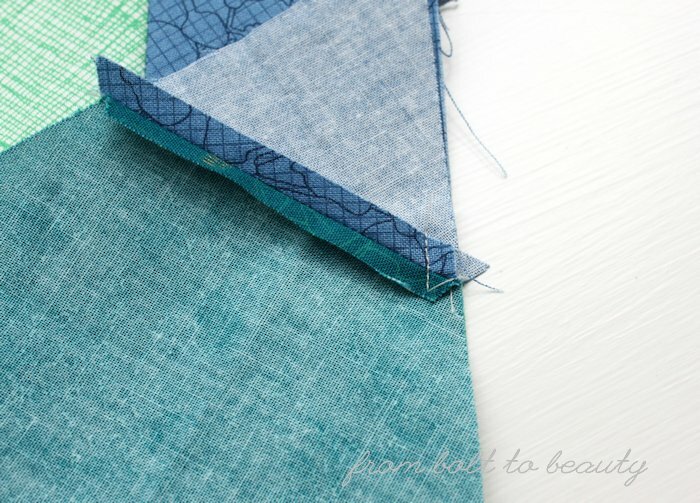 What is your go-to quick-turnaround project—the kind that gives you a breather in between quilts? The other readers and I want to know! Tell us about it in the comments! The requisite disclaimer: I like Terri. I’m pretty sure she likes me, too, because she sent me this cool crafting set. The preceding opinion is all my own, based on my experience with her product. Nope, there are no affiliate links in this post (or any post, for that matter). The giveaway is closed! Congratulations to the winner: Crafty Coffin! 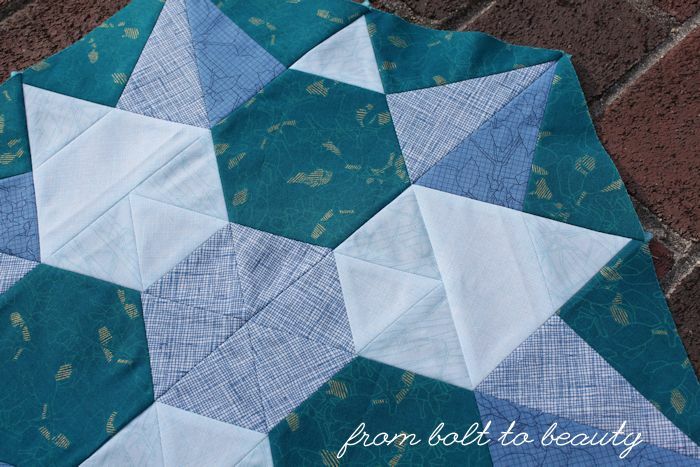 If you’re one of the newbies, let me tell you what you’ll find at FBTB ... Four or five times a month, I publish posts that highlight quilt finishes or address the nitty-gritty details of my process and current projects. 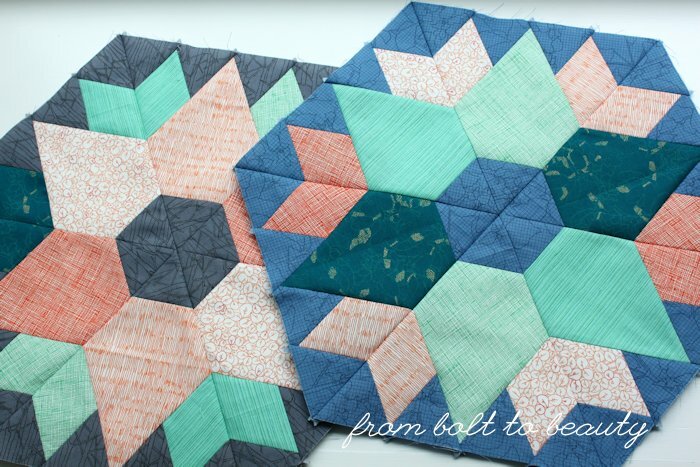 I’m less than 30 quilts into my quilting career, so I’m still trying to figure things out. Maybe you’re in the same boat! 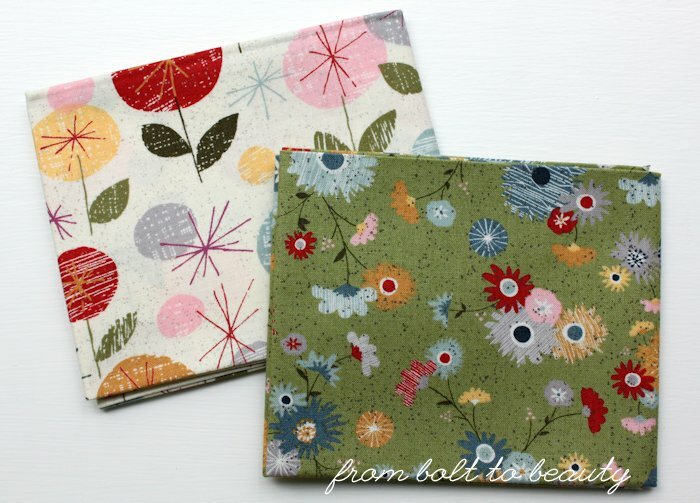 In this giveaway I’m offering selections from Basic Grey’s most recent line: Mon Ami. 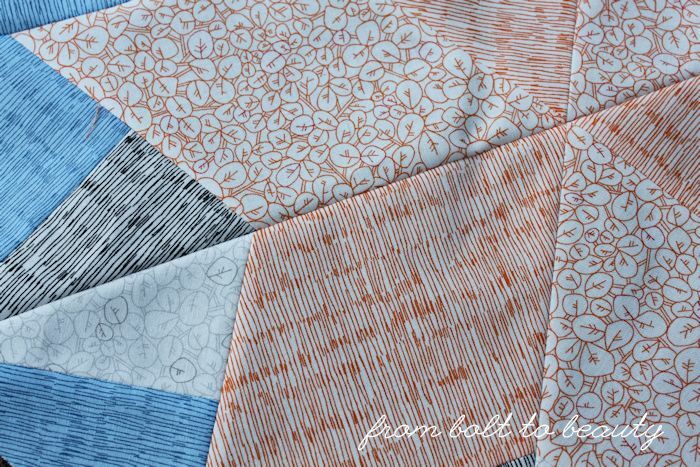 This lot includes 2 half-yards and 10 fat quarters. The giveaway is open to anyone anywhere in the world. 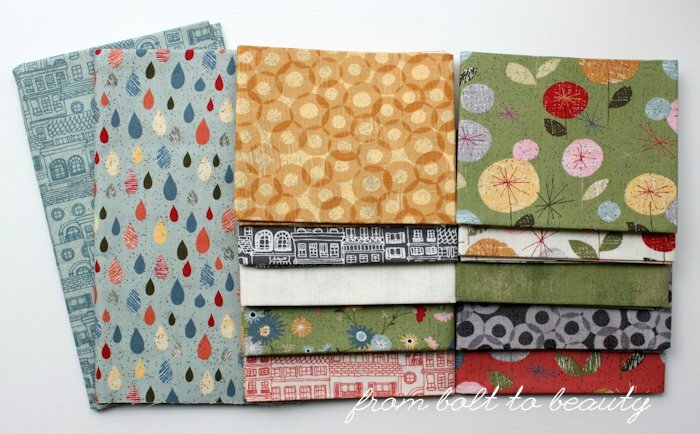 Here’s the fabric: 2 half-yards and 10 fats! Everyone gets one entry by adding a commenting below. You can write anything you want (“Lady, you sure are awesome!” and “How can someone so young-looking have kids?” are some suggestions), but if you do better with a little direction, please tell us a fun fact about yourself. The giveaway includes some beautiful florals. I can’t have a Basic Grey giveaway without some Grunge in the mix. If you’re not into that idea, I’ve enabled anonymous commenting, so you can still enter the giveaway. But anonymous commenters need to include their email address in their comment so I can contact them if they win. I know, it defeats the idea of anonymity, but on future non-giveaway posts you can comment anonymously to your heart’s content. Readers who use Gmail/Google to leave comments: In general, I get a lot of comments from no-reply bloggers. Maybe some people are NRBs on purpose—that’s cool. But I think many NRBs are unaware of their NRB status. (If you have a Gmail account and have never received a response from me about comments you’ve left, this is likely your situation.) To allow me (and other bloggers) access to your email address, see this tutorial from On the Windy Side. I’m by no means an expert on all this commenting-on-blogs business, but I hope that clears up questions some of you may have! By the way, before starting From Bolt to Beauty, I spent years reading blogs without commenting. Participating in the conversation was a game changer for me. I got much more out of the blogs I read once I started to share my thoughts with the authors and other readers. This giveaway is open through Monday, May 23 at 8 p.m. (I’m on the East Coast of the U.S.) Good luck! When I started sewing, I was very pro-pins. 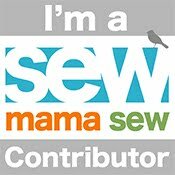 At the time, I sewed home-dec projects—pillows, curtains, valences, etc.—so I was working with sizable swaths of fabric, and the need for pins was real. As I started to quilt, however, I began to understand the limitations of pinning two pieces of fabric together. The fabric can still shift, especially at those critical points. I want the rest of the points in this block to be just as precise. Before I sew a seam in its entirety, I sew a few stitches—maybe 6 or 7—at the places where I want to align seams or preserve those precious points. These stitches go at the quarter-inch mark and are the standard stitch length I use for piecing. Then I check to see how those intersections line up. The point on the left is a little off. Since I sewed a few starter stitches instead of the entire seam, I have little to rip out and resew. Once I’m satisfied with the results, I sew the whole seam, going directly over the starter stitches, and press my seam. Do you have a novel approach to ensuring your points are spot-on? Tell the rest of us about it in the comments! What Do You Look for in a Local Quilt Shop? The fabric-buying landscape in my part of Massachusetts is changing. In the past five years, a shop in a neighboring town closed. Another shop, north of me, in New Hampshire, was going to shut down operations and then someone offered to buy it at the eleventh hour. One closer to Boston will be shuttering at the end of May, and the store I frequent the most has revealed that it, too, is considering closing. I understand that stores come and go, that the popularity of online fabric sites has changed the game for those brick-and-mortar retailers, but I love the quilt shops in my area. I need them to stick around! I thought it would be interesting to have a conversation about what we look for in a local quilt shop (LQS). Big, old disclaimer: I am not an industry expert. I have never worked in retail of any kind, let alone a quilt shop. I’m just a customer who enjoys buying fabric and has a vested interest in keeping the lights on and employees paid at my LQSs. I suspect you’re in the same camp. I’m not sure what this post can accomplish, but it’s a dialogue worth having. 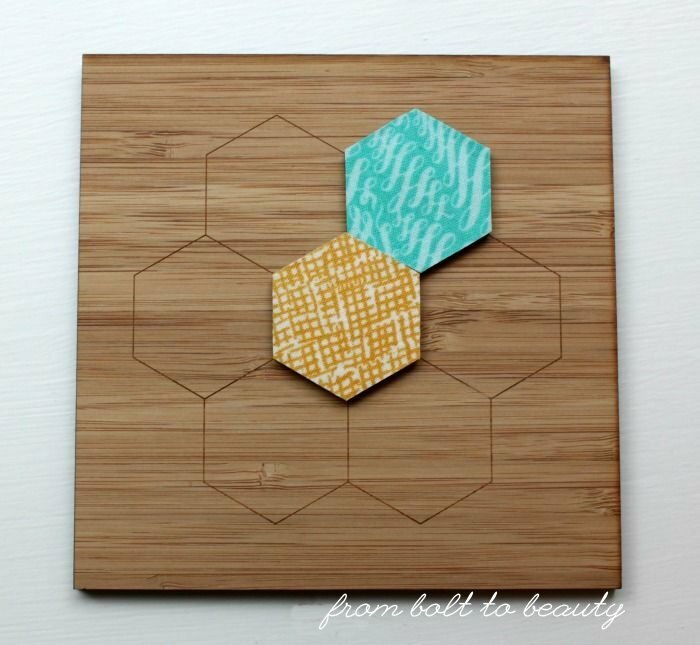 These hexagons measure in at 16 inches. I love making them! I’ve confessed in the past that I have a weakness for old stock, and I like knowing that there are places locally where I can purchase out-of-production fabrics. In general, though, I am looking for the newest and coolest fabric. If I saw a particular bolt three years ago when it was initially released and chose not to buy it, I likely don’t want to buy it now, either. A store an hour or so north of me—Quilted Threads, in Henniker, NH—does a great job of moving stock. I can always count on them to have new lines from Moda, Cotton and Steel, Free Spirit, and others. It’s not unusual to find fairly new bolts in their sale room, too, because they need to make room on the main shelves for incoming stock. Another shop—Pintuck and Purl, in Exeter, NH—has a fraction of the floor space that Quilted Threads has, but I’m drawn to it just the same. Every bolt in that store—and the proprietor stocks quilting cottons as well as fabrics for garment making—was chosen with great care. I appreciate the options at Pintuck and Purl, all of it super new and fresh; I feel as if I’m perusing a curated collection and not simply a bit of everything. 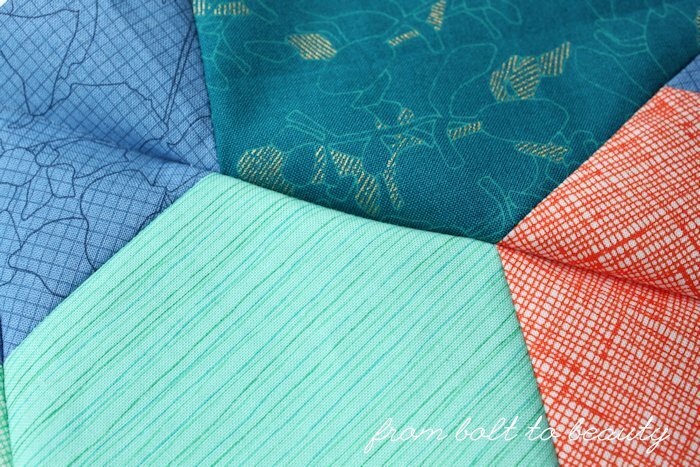 I do buy some of my fabric online, especially when I want a collection or colorway that no one stocks locally, but to buy those solids and blenders that flesh out a fabric pull, I go to an actual store. 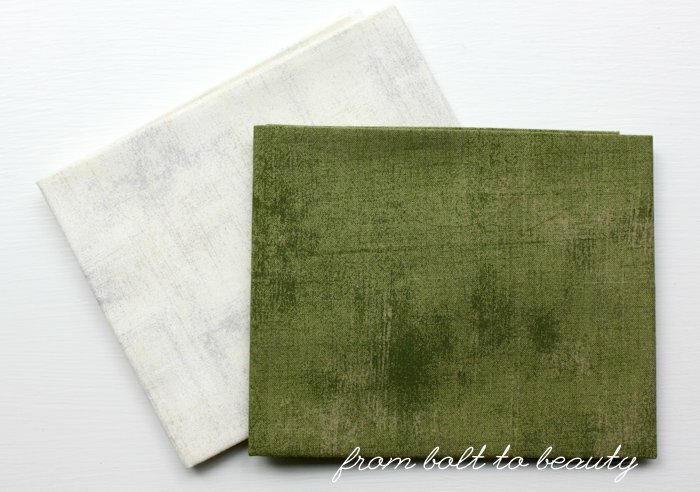 I want to be able to take a bolt into the natural light and compare it to the fabrics I’m working with. Hands down, Quilter’s Way, in Acton, MA, has the best solids and near-solids selection. I can find tons of Kona Cotton, Michael Miller Cotton Couture, and Free Spirit Designer Solids there. Their selection is so superior to that of other stores that it isn’t worth my time looking elsewhere for these basics. 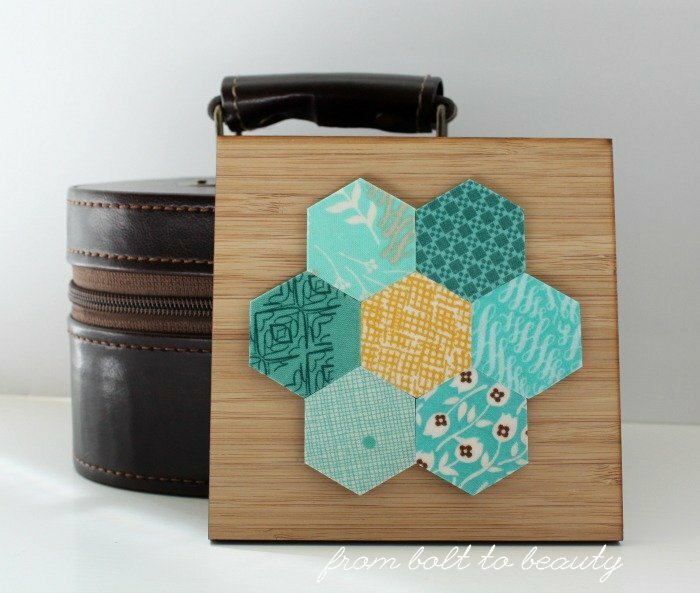 Here is some more hexie goodness. The great thing about my LQSs is that they’re all different, and even the ones with a more traditional bent merit an occasional visit from me. One shop that has a niche like no one else is Cobblestone Quilts, in Townsend, MA. If I’m in the market for fabrics with a thirties flare, I go to Cobblestone. 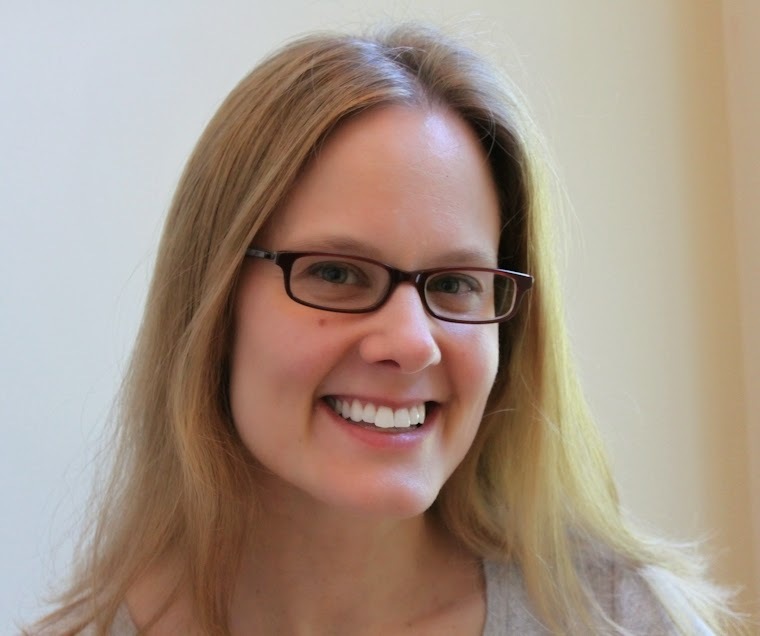 Sure, the proprietor stocks other stuff I love—Lizzy House, V and Co., Bonnie and Camille, etc.—but it’s her thirties stock that sets her apart. I’m a big Denyse Schmidt fan, and those thirties fabrics tend to play well with Denyse’s modern-traditional aesthetic. And did you see these points?! Then there’s all the other stuff, the attributes I often take for granted—excellent customer service, knowledgeable staff, evening hours, an array of sewing and quilting notions, etc. Those qualities factor into my shopping decisions, too. I think this block is my favorite. I love the combination of green, gray, and yellow. I also like a good gimmick! I can’t be bothered with some trends like a Row by Row Experience or a loyalty program. They’re just not me and don’t make me want to visit a shop more or affect my spending. The gimmicks I do like are the ones that involve a little chance! If a shop puts my name into a monthly drawing for finishing a bolt, you know that I’m going to buy an extra yard or so just to finish off that bolt and try my luck. And if a shop puts my name into a drawing for using cash instead of credit, I’ll be sure to hit the ATM before swinging by. Ridiculous? Yes. But if the closest I come to having a gambling problem is for gambling for fabric—well, I could have much worse vices! Notice that I don’t mention price in this discussion. I expect to pay $10 to $12 a yard for new, quilt-shop-quality fabric. (The fact that fabric is comparably priced at big-box stores like Joann’s is ridiculous because the quality is clearly inferior. I am sick of the coupon game, of stores overpricing because they expect customers to use coupons.) That said, I do appreciate a clearance section—25% is enough for me—that keeps me in less expensive backings. OK, now it’s your turn. What about your LQS makes your heart sing? I need to know!